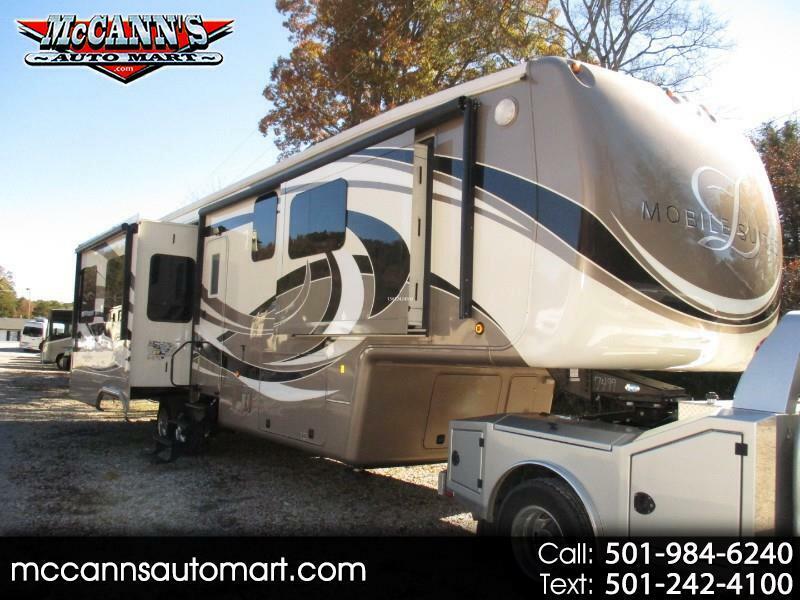 This Beautiful 2015 Mobile Suites Features...6 Point Hydraulic Landing Gear, 4 Slide-Outs, 2 Ducted Air Conditioners, 110V Residential Refrigerator, In-Fridge Ice Maker, Automatic Main Awning And Window Awning, Washer/Dryer, Heated Tanks, 2 TVs, Satellite, Fireplace, RV Comfort Systems Cheao Heat, Central Vacuum, Convection Microwave, 3 Burner Range, Cargo Tray,Outside Shower, . Welcome Home! All The Modern Convenience, Comfort And Style Your Looking For Is Here In This Mobile Suites. You can also purchase 2016 GMC Silverado 3500 6.6L Turbo Diesel that is set up nicely for this RV - It has airbags with compressor, Trailer Saver airbag hitch, Utility body works bed Driver Alert pkg, Nav and Bose premium stereo and so much more --- Save $$$ when purchased as a package get the 2016 GMC and 2015 Mobile Suites for $123,995!!! The Truck by itself is $62,495 The 5th Wheel by itself is $62,995 - Purchase together for a huge savings! Message: Thought you might be interested in this 2015 DRV Luxury Suites Mobile Suites.